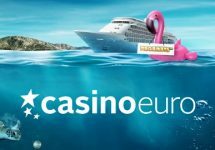 Casino Euro – Daily Deals | Week 24! 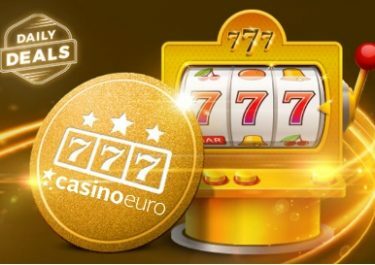 Claim your daily casino treats and bonuses! We are just a few days away from the kick-off for the 2018 FIFA World Cup in Russia, no doubt that online casinos will spoil us all with some awesome promotions throughout the tournament. But that doesn’t mean that we won’t have something extra until then. Take the Daily Deals campaign at Casino Euro where all players can enjoy bonuses and Free Spins as well as exciting tournaments, random prize drops and a special Live Casino reward on Sunday. Dive into a new gaming week with a generous 50% match bonus for your first deposit on Monday. 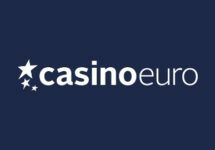 Monday, 11th June 2018: Reload Bonus – Deposit minimum €10 to receive a 50% deposit bonus, up to €15. Wagering requirement is 40x bonus within five days. 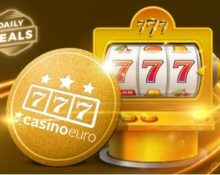 Tuesday, 12th June 2018: Instant Free Spins – Wager minimum €30 on Treasure Mine to instantly receive 10 Cash Spins on the same game. Winnings from the wager-free spins are cash. Wednesday, 13th June 2018: Lucky Spin – Enjoy 1 Free Spin on Laser Fruit, no deposit needed. The TOP3 scoring the highest wins from the spin will be rewarded with cash prizes: 1st – €1,000 | 2nd – €250 | 3rd – €100, credited with no wagering requirement by 15:00 CET on Thursday. Thursday, 14th June 2018: Prize Drop – Spin actively on Viking Runecraft and you could randomly trigger a prize drop. Available prizes are 1x Mac Book Pro 13″ and 50x €20 bonus, credited by 17:00 CET the following day with a 20x wagering requirement within five days. A cash alternative of €1,000 is available for the Mac Book. An in-game tab displays remaining time and prizes. Friday, 15th June 2018: Free Spins – Deposit minimum €15 in a single amount to instantly receive 30 Free Spins on Finn and the Swirly Spin™. WR is 15x FS winnings within five days. Saturday, 16th June 2018: Goodie Bag – Deposit €30 in a single amount to instantly receive 20 | 20 Free Spins on Blood Suckers 2 | Moonshine Riches™. WR is 15x FS winnings within 5 days. 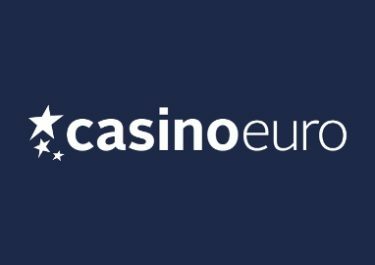 Sunday, 17th June 2018: Live Casino Bonus – Wager minimum €50 on Dream Catcher or Lightning Roulette to instantly receive a €10 bonus. Wagering requirement is 10x bonus amount on any casino game within five days.